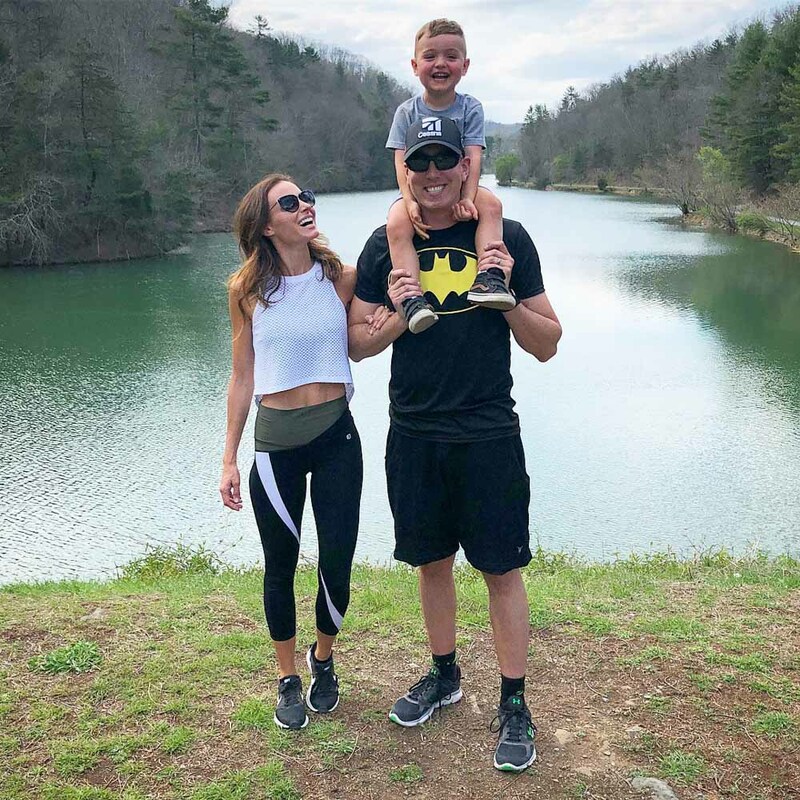 With NASCAR season in full swing and summer quickly approaching, Kyle, Brexton and I are constantly on the move, running between races and trying to squeeze in as much family time as we can. 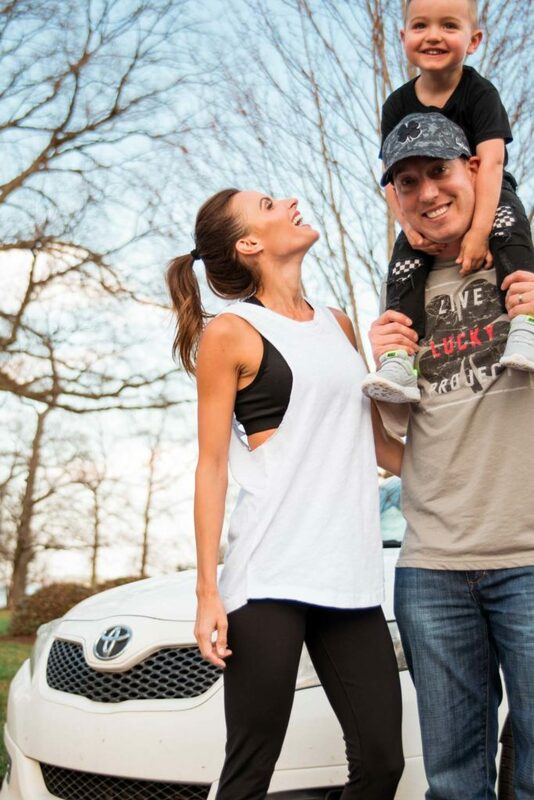 Always being on-the-go also means needing to stay on my “A-game” when it comes to keeping in touch with family and friends, as well as managing Murph Boutique and the Kyle Busch Foundation activities. Plan ahead: If I know we have a busy week ahead, I do as much as I can to prepare in advance. If it’s before a trip, that might mean researching fun places to explore with Brexton. Now that we have an energetic toddler, things have changed in many ways with how we travel, including where we choose to stay and what we do during our downtime on the road. So I rely on my smartphone to search for kid-friendly activities and places in advance. Multitask during downtime: If you’ve ever seen me at a race, you know that I am usually on my phone – I love to watch Kyle’s races, but I also use that time to get things done – from updating my blog, to responding to emails and interacting with fans on social media no matter where I’m at. Just because I’m not home doesn’t mean my business or charitable foundations stop running. I love Walmart Family Mobile because families can get Truly Unlimited talk, text and data◊ at 4G LTE† speeds for only $49.88/month. Say no sometimes: Do you ever feel like you’re constantly on the move and there’s never enough time to get it all done? We’ve all been there. We get caught up in various activities and suddenly we look up and the summer is halfway over. Remember that it’s okay to say no. Whether it’s an event you’ve been invited to or a nagging chore on your list, give yourself permission to say no and don’t give it a second thought. Stay connected: Over the years, I’ve learned that communication is key when juggling a busy schedule and keeping in touch with family and friends on the road. Thankfully smartphones make it easy to keep loved ones in the loop by sending a group text or using photo sharing apps to share new memories together. With affordable family plans and multi-line discounts, Walmart Family Mobile makes it easy for the whole family to stay connected. Take a family break: Summers are so jam packed that it’s hard to find time to spend as a family. Take a break from your daily to-dos and plan an activity or trip that allows you to stop and spend quality time together. Whether it’s one day or an entire weekend, try not to think about any responsibilities, just focus on relaxing and making special memories as a family. Over the years, I’ve found that communication is key when juggling a busy schedule on the road. Whether it’s video chatting with loved ones who are in a different state or texting people more frequently, I rely on my phone to keep me connected. So you can imagine my excitement when I found out that Walmart Family Mobile offers awesome deals on phone plans! You may also know I’m a big fan of convenience, and with so much on my plate, one of my favorite things about Walmart Family Mobile is how easy it is to get started. There’s no contract and no activation fees, you just pick a new phone (or bring the phone you already have and love), pick a plan, activate and go. Spending quality time with Kyle and Brexton is also a top priority of mine, no matter how hectic things might be. Kyle and I make it a point to take Brexton exploring on our off days in the different cities we travel to. 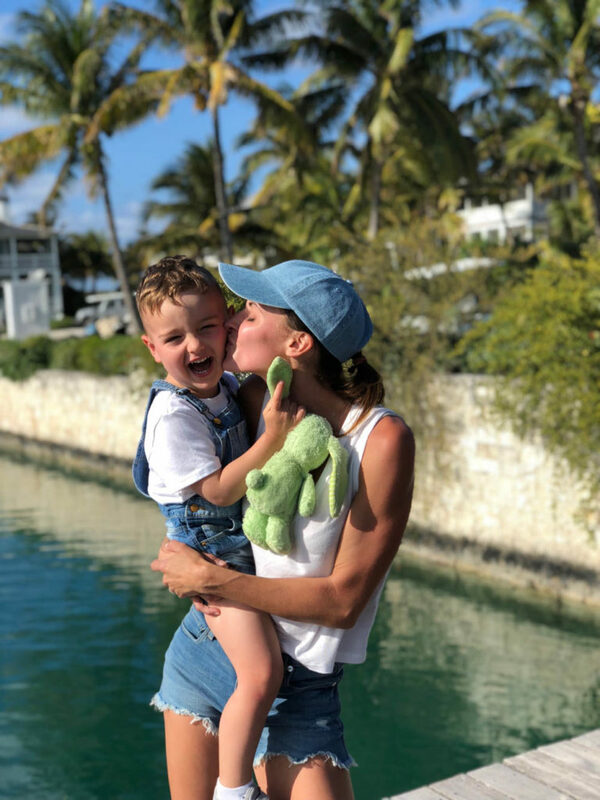 I am obsessed with snapping pictures of our adventures, and Brexton running around having fun makes for a great photo opp. I always send the best ones to my family and friends and, of course, share on social media with all of you, too! This is where a great phone plan comes in handy. Who wants to get stuck running out of data trying to upload an amazing family photo? With Walmart Family Mobile I never have to worry about that. I can get unlimited talk, text and data at 4G LTE† speeds for one simple monthly price. Guys, this is such an amazing offer for the crazy busy summer. 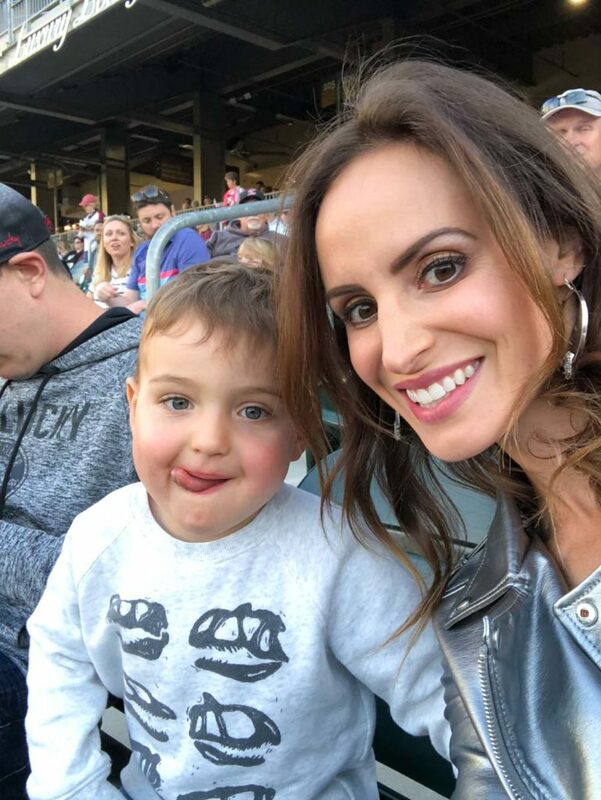 As our schedule picks up, you can expect to see a whole lot more pictures and posts from our family adventures… and hopefully Victory Lane! To learn more about Walmart Family Mobile’s unlimited plans, including new family plans, visit your local Walmart or check out www.MyFamilyMobile.com. Thank you to Walmart Family Mobile for sponsoring this post. All opinions are my own. * Please refer always to the latest Terms and Conditions of Service www.MyFamilyMobile.com. ◊ Does not include tethering. Video typically streams at DVD quality.